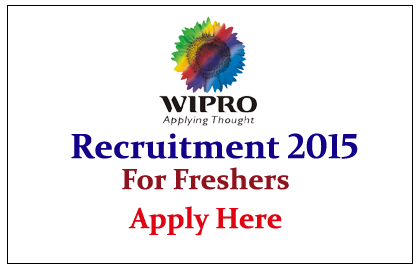 Wipro Limited is recruiting freshers for various posts 2015. Interested and Eligible candidates can apply here. Wipro Limited is a Global multinational IT Consulting and System Integration services company headquartered in Bangalore, India. Eligible candidates can apply online as soon as possible, For more details kindly check official Notification (Online registration Links).